Fred Astaire introduced “The Way You Look Tonight” in the RKO musical Swing Time, the sixth of ten films he would star in with Ginger Rogers. For the film, Dorothy Fields and Jerome Kern wrote one of the most popular film scores of all time, with “The Way You Look Tonight,” beating out “I’ve Got You Under My Skin” and “Pennies from Heaven” to win the 1936 Academy Award for best song. Originally titled I Won’t Dance, after the Kern song in 1935’s Roberta, then Never Gonna Dance, Swing Time presents Fred and Ginger at the top of their form dancing to a phenomenal score. The film proved a commercial success and endures to this day as one of their top vehicles despite a flimsy plot that critics have called tedious, practically non-existent, and even asinine. Rather than Astaire singing “The Way You Look Tonight” directly to Rogers, perhaps in an evening gown on a balcony, the film takes a lighter approach. Astaire plays the piano and sings to no one, while Ginger Rogers is washing her hair in the next room. Unexpectedly, she walks in on him as he completes the song. This section suggests definitive or otherwise significant recordings that will help jazz students get acquainted with “The Way You Look Tonight.” These recordings have been selected from the Jazz History and CD Recommendations sections. The instant popularity of Kern’s score was no accident. In The Melody Lingers On: The Great Songwriters and Their Movie Musicals, author Roy Hemming says of Swing Time, “Neither the picture nor the score ‘swings’ in the true sense of the era’s swing music craze. But Kern’s score is, overall, his most unabashedly and buoyantly pop-oriented.” True to the pop style, “The Way You Look Tonight” is in the A-A-B-A, 32-bar form with no verse. Movement There are downward leaps, ascending step-wise in “A” section. The “B” section contains repeated notes moving in skips and steps in both directions over a fairly narrow range (less than an octave). There are sustained notes throughout. This is the I – vi – ii – V7 progression (“Heart And Soul,” “These Foolish Things”) but with some substitutions and variations. For example, the second time through the progression in “A,” a iii chord is substituted for I, and the vi becomes a VI7(b9). “B” does the same thing in the bIII key (Gb in the original), substituting a #i˚7 for the vi (in the original: Gb – G˚7 – Abm). Modulation back to the tonic key is accomplished by way of going to the relative minor (Eb minor) with the vi –III7 becoming a “pivot,” turning into the V7 of the initial tonic key. Often an interpretation of a song is so engrained in the psyche that it’s hard to think of it in another way. Fred Astaire’s version of this opus as a ballad led the way for a number of covers by vocalists, most notably Billie Holiday’s with the Teddy Wilson Orchestra and Peggy Lee’s with the Benny Goodman Sextet. Guitarist and nightclub owner Eddie Condon was an indefatigable proponent of the style of jazz referred to as “Dixieland,” although he and his musicians disliked the stereotypical term. On a rare occasion when they were allowed to record something other than “Muskrat Ramble” and “Jazz Me Blues,” Condon’s crew laid down a scorching, up-tempo version of “The Way You Look Tonight” in 1946 that led the way for other versions at a similar tempo. Star Trek: Deep Space Nine (1999, James Darren) Season 7, Episode 125, "What You Leave Behind, Part I"
Friends (2000, Tony Bennett) NBC sitcom, Season 6, Episode 17, "The One with Unagi"
Young Americans (2000, Julius La Rosa) WB drama series, Season 1, Episode 4, "Cinderbella"
Six Feet Under (2002) HBO drama series, Season 2, Episode 24, "The Liar and the Whore"
Griffin asserts himself mightily on a burning-fast tenor battle with Hank Mobley and John Coltrane. Other featured artists here include drummer Art Blakey and the young trumpeter Lee Morgan. This live performance helped usher in the era of Blakey’s Jazz Messengers. Soloists Lou Donaldson, Clifford Brown and Horace Silver play with breathtaking exuberance and dexterity on this up-tempo track. Along with a great rendition of the melody, this playful performance features some O’Day scatting and a sophisticated arrangement by Jimmy Guiffre. This is definitive bebop piano, with Harris playing inventively and creatively, backed by bassist Bob Cranshaw and drummer Clifford Jarvis. The Catalonian pianist goes for broke in this solo outing. “The Way You Look Tonight,”’ taken in waltz time, rises above the ordinary in his creative hands. Astaire introduced “The Way You Look Tonight” in the 1936 film Swing Time. Here he displays the vocal phrasing and delivery that made him a favorite of composers and lyricists. His stellar jazz sextet includes Charlie Shavers (t), Flip Phillips(ts), Oscar Peterson (p), Barney Kessel(g), Ray Brown (b), and Alvin Stoller (d). 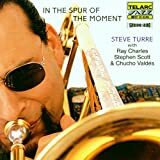 The wonderful Ray Charles is given free rein at the piano as trombonist Steve Turre leads the group through a medium-paced version of the song. Charles is terrific in an improvisatory role that he rarely commits to CD. Vibraphonist Hampton leads heavyweights, such as pianist Oscar Peterson and drummer Buddy Rich, through a swinging “The Way You Look Tonight.” Clarinetist Buddy DeFranco tops them all with his sentimental solo.